Alpine Sales & Service offers a complete line of residential and light commercial LiftMaster® garage door openers and accessories. Options include space-savers, higher HP for maximum lifting capacity, quiet operation and a standby power system for full operation in the event of a power outage. We offer a variety of Door Control Products to complement our garage door openers. Our Keyless Entry Systems and Control Panels will provide you with added security and convenience features such as motion detection lighting. Available in a variety of styles, our remote controls blend nicely with any car's interior or upholstery, making them the perfect accessory to complement your lifestyle. 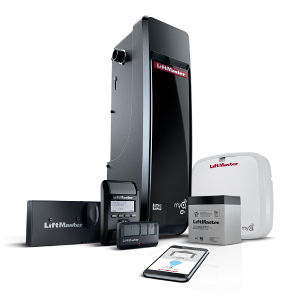 All LiftMaster remotes feature Anti-Burglary Technology to keep your home safe and secure. 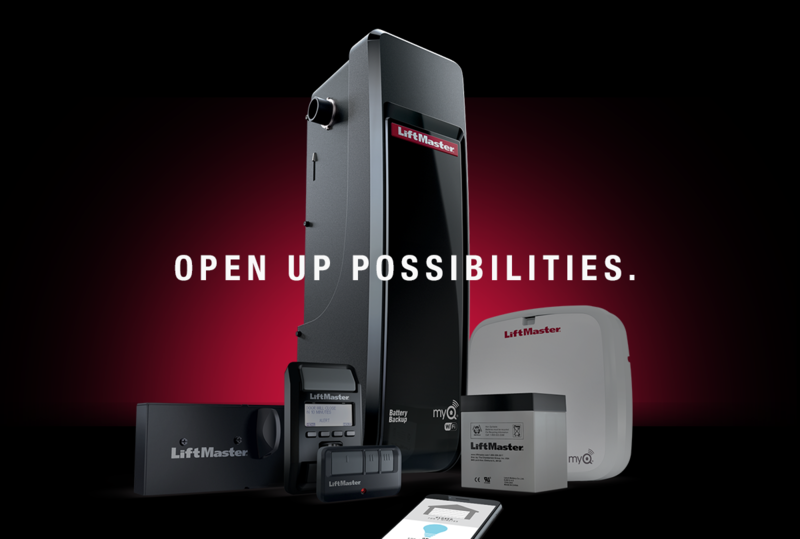 Our progressive home convenience and safety products are designed to work in harmony with your LiftMaster garage door opener. Best of all, they deliver what matters most...convenience and safety for you and your family. Our Garage Door Monitor lets you know if your garage door is open or closed from any room in the house. The Remote Light Control allows you to turn on lights or appliances in your home with your garage door opener remote control from inside your car. This opener is mounted on the wall beside your garage door, beneficial to anyone requiring extra storage space above. Equipped with built in Wi-Fi® for gor smartphone control, MyQ® Remote LED light, Automatic Garage Door Lock and Backup Battery. 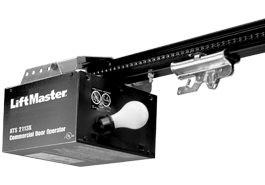 This durable garage door opener features tremendours reliability and exceptional performance. 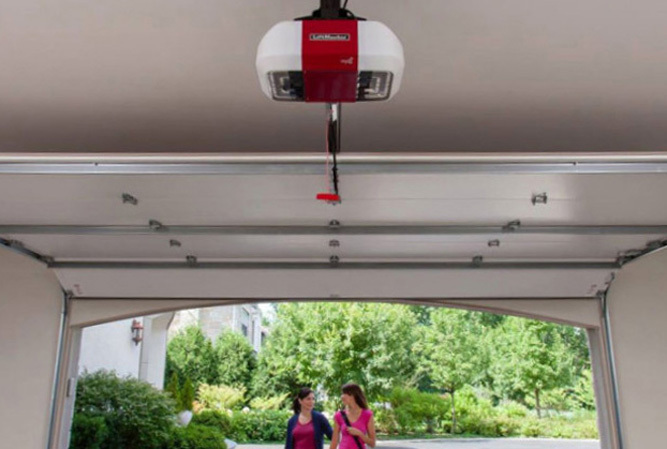 In addition, it includes LiftMaster's Timer-to-Close system and works with MyQ which provides included core features, including controlling your garage door from anywhere and subscription-based partner integrations. This opener features a durable 1/2 HP motor with an industrial-strenght belt drive, providing smooth and reliable performance. 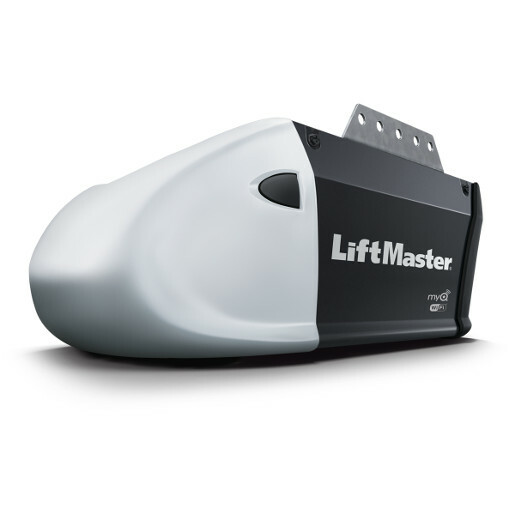 In addition, it includes LiftMaster's Timer-to-Close system and works with MyQ which provides included core features, including controlling your garage door from anywhere and subscription-based partner integrations. 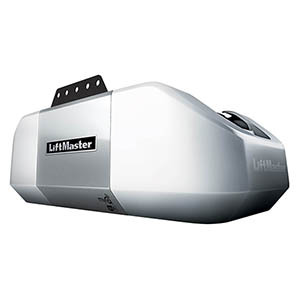 This Contractor Series Garage Door Opener is the ultimate in value and reliability. It's duarble 1/2 HP motor and industrial strenght chain drive provide long-lasting performance. 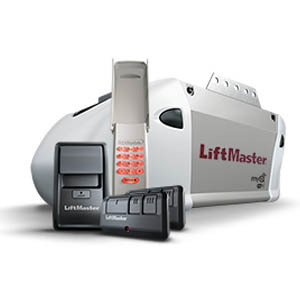 Features LiftMaster's Timer-to-Close system and works with MyQ® technology for maximum control. This Contractor Series model provides standard lifting power with it's durable 1/2 HP motor. 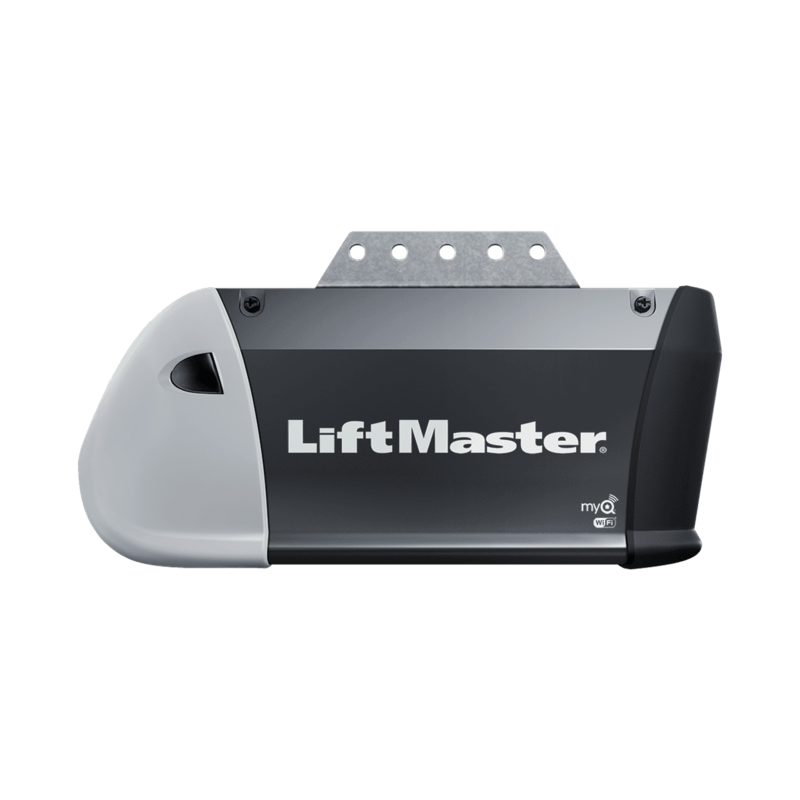 It also feautres Liftmaster's MyQ® technology, allowing you to open or close your garage door from anywhere in the world, giving you the ultimate control. Designed for residetial or light-duty commercial applications, this opener has standard lifting power and can be used for doors up to 14' tall. 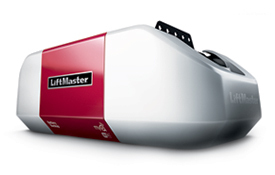 Also features LiftMaster's 1-year installation warranty.